The teen years are an amazing, intense time of growth and maturation. Children this age begin to naturally pull away from their families and begin looking to friends for love, acceptance, and advice. While peers relationships can be supportive and healthy, often friends may be experiencing many of the same scary feelings and uncertainties. 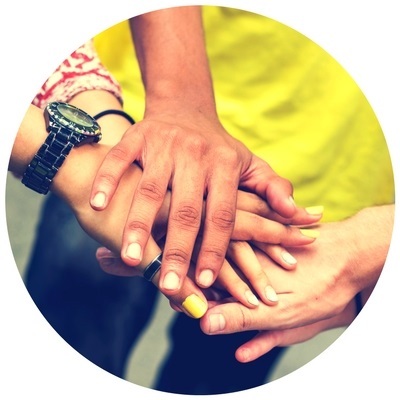 Teen groups, when facilitated by a trained professional, tap into the power of peer relationships while also offering a new way to approach and understand problems. Add creative expression and opportunities to truly connect into the mix and something magical can happen, allowing feelings of isolation and loneliness to lessen or disappear. Schedule a free 15 minute call to see if group is a potential fit and get your questions answered. If we decide to proceed, you'll move to Step 2. Schedule an interview appointment. You will receive an information packet to review and fill out prior to this appointment. This is required of all new clients whether your are interested in individual or group therapy. If either party decides we are not a good fit, I will do my best to provide referrals based on your needs. If we decide we are a good fit, we'll schedule our first individual or group therapy session! Therapy begins!! We will fine tune your treatment plan together including specific goals to be achieved, whether individual, group, or some combination is most appropriate, and the ways we will measure and evaluate your progress. We formally review and discuss progress around every 6 weeks.